We were abundantly blessed with a beautiful Holy Week and glorious Pascha – our first as a Mission Station here in Chilliwack, B.C. We are so grateful to our Risen Lord, God, and Saviour Jesus Christ, and for all of our people who took part in our services, from the Bridegroom Matins, to the Services of Holy Thursday, and then to the Cross, the Tomb, and the Resurrection on the Third Day. 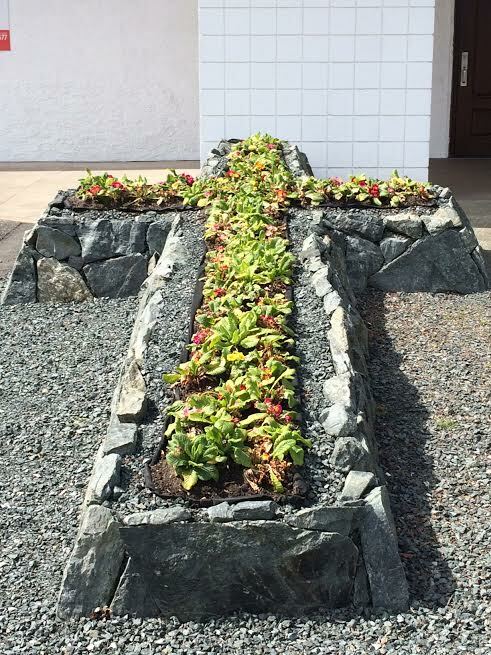 Rockery Flower Cross outside of St. Paul’s Lutheran Church, new location for the Holy Apostles Mission Station, Chilliwack, BC. After beginning our life together as a Mission Station in the rustic majesty of the Camp Charis Tabernacle – located 10 minutes east of the city – we are now moving to the heart of Chilliwack. Our new location, just in time for Thomas Sunday, will be in the South Building at St. Paul’s Lutheran Church – 8871 School Street, in Chilliwack. 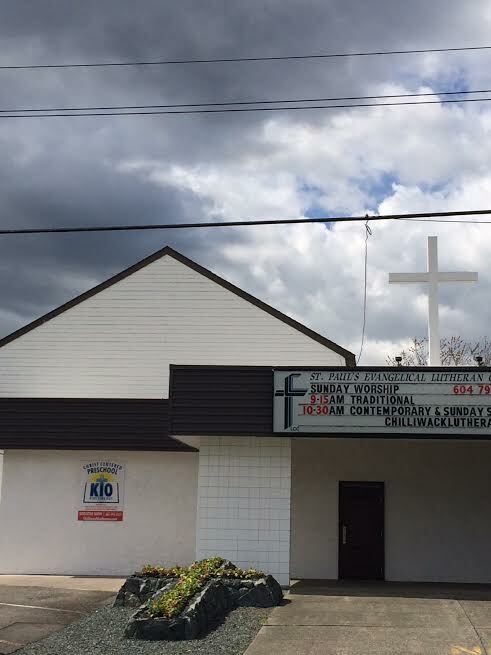 We are grateful to Pastor Wayne Lunderby and the congregation of St. Paul’s Church, for welcoming us to rent this new location, which we will pray will provide a very good environment for the services of the Orthodox Church, and our life as an Orthodox Mission in the Chilliwack community. It should perhaps not surprise us that our new place of worship is actually a Church dedicated to the Holy Apostle Paul. Since our Mission Station is dedicated to the Holy Apostles, both the Twelve and the Seventy, St. Paul has been already interceding to the Lord on our behalf. And now, through the welcome of this local congregation, we have a place to continue our Mission of bearing witness to the Gospel and living out the Orthodox way, here in Chilliwack. All are welcome to join us for services! This Sunday, on which the Orthodox Church commemorates the Holy Apostles Thomas, we will offer the Divine Liturgy in our new location, at 9:30am. We will not be serving Sunday Matins, as we usually do, this Sunday, but will read Third and Sixth Hours, beginning at 9:00am. St. Paul’s Lutheran Church, South Building, Chilliwack, BC, the new location for the Holy Apostles Orthodox Mission Station. May the Lord bless you in this holy Paschal season. Let us raise high the apostolic proclamation, both in word and deed: Christ is Risen!